The German advance forced the evacuation of most soviet factories to the east. During this move to the east, a new turret for the T-34 was designed. This turret was a simplified design, which allowed for ease of production and offered better protection than the original turret. The installation of this turret on the T-34 hull produced the T-34 1942. STZ, of the few factories that was not moved east, could not retool to produce this new turret. Once the factories in the east started to produce the new T-34 1942, STZ made the decision to design a new turret that would not require as much retooling as producing the turret of the T-34 1942. At around the same time STZ also started to produce an applique armor kits, which could be welded to a tank in the field, that increase the T-34’s frontal protection. 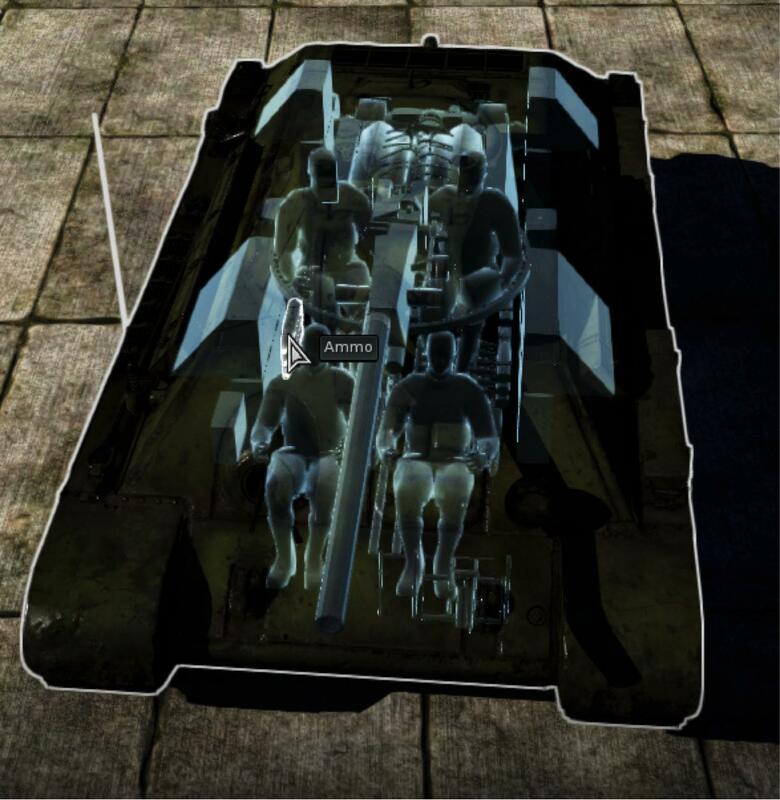 This tank has great front protection and while not invulnerable, many enemy tanks will have difficulty knocking it out. The rest of the tanks armor is decent, but nothing that is too difficult to penetrate. While the extra armor of the T-34E STZ greatly increases frontal protection it does slow the tank down by quite a bit. This combined with a great gun and a large selection of ammunition types make this tank a jack of all trades but a master of none, however this is a feature many Soviet tanks share. There are two main ways to utilize this tank. The first is by staying at long range, and using the frontal armor and good gun to pick off enemies. When at long range remember that the front turret is the greatest weakness of this tank so try to not look directly at enemy during reloading. The second is as a close range brawler, when using the tank in this manner make sure to watch your flanks. Both of these methods are equally viable, close range seems to be where this tank does a little better. Urban settings can be challenging for the T-34E STZ. The reason for this is while the frontal armor is great, in the chaos of urban combat means that you never know where to aim it. Another problem; while the front armor is good it does have a number of weak spots which can be easily targeted at point blank range. With that in mind play the STZ as you would a 1941 or 1942, and do not really on your armor as you would in a KV-1. Try to use the flanks and side streets to get into firing position where you can control where the enemy is. This will allow you to use the mobility and protection of the STZ to the fullest. Your agility is your main defense in these settings. In this type of environment, tank destroyers will always reign supreme. Their combinations of high-power guns, low profile, and tough frontal armor makes them great long range combatants. However, your armor allows you to play along, but always remember that you not invulnerable, and while your gun can not match theirs it can still get the job done. This means that you should not position yourself in the open and take shots, try to find a location where you are protected from most angles and focus on one enemy at a time. By focusing on one tank at a time you minimize the odds of a lucky shot hitting one of your weak spots. This is the type of environment where T-34 STZ can really shine. The reason for this is that unlike in urban environments flaking can be a little more difficult. The average distance of engagement is longer, meaning your armor can do more than in urban environments. The more open nature allows you to make full use of the tanks mobility. When in this environment you have a range of options. 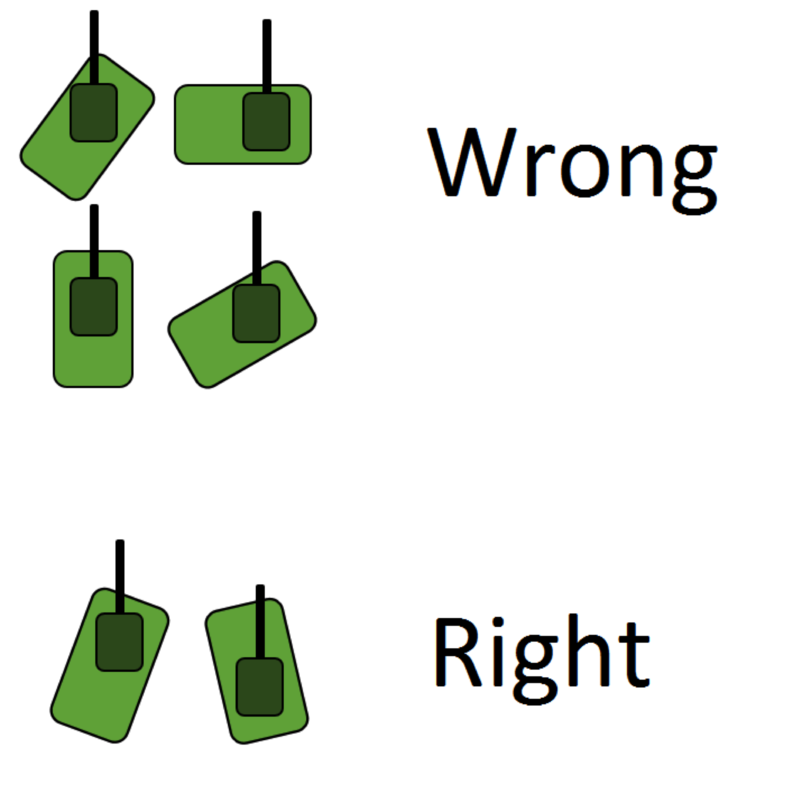 The first option is to go straight for a cap point and find a good position just outside or just inside the point. Any position that has a good overwatch of the cap point or the approaches to the cap point will do. Once in position try to knock out any tank that tries to approach the point, make sure to properly angle your armor to maximize protection. Since you know where the enemy is coming from it is easy to maximize your protection and engage enemies on your terms. Always engage in the most favorable conditions, this means don't hesitant to retreat behind your lines if you start getting overwhelmed. If the enemy follows you when you retreat they will run straight into your team mates. The second option is to try to flank around the and approach the enemy from an angle they might not expect. When doing this try to make sure you have a good knowledge of the terrain, since choosing the wrong path means a quick death. 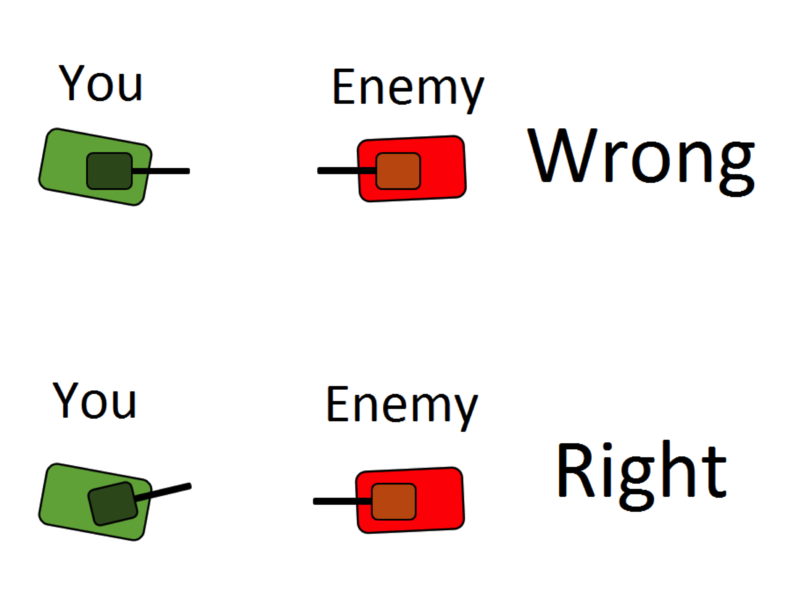 A good path is one where you can control where enemies can appear and allows for disengagements with easy. Ideal paths Have a hill between you and the enemy allowing you to slowly round the hill until you see an enemy. Once you see the enemy you can engage him and if more appear then you can handle you can fight a fighting retreat using the hill as cover. However remember you will not be retreating into friendly lines so don't count on support or help. The following are pieces of advice fighting with the T-34E STZ. As every situation is different, these examples serve as a general guide. Knowing yourself and knowing your enemy are the key to getting though any situation. When you are not shooting an enemy, do not point the barrel directly at the enemy. Pointing directly at the enemy exposes the weak spots on your turret armor. By pointing the barrel a little to the left or right during reloads you angle the weak spots and greatly increase the tanks survivability. While this tank has great front armor, it is not invulnerable. 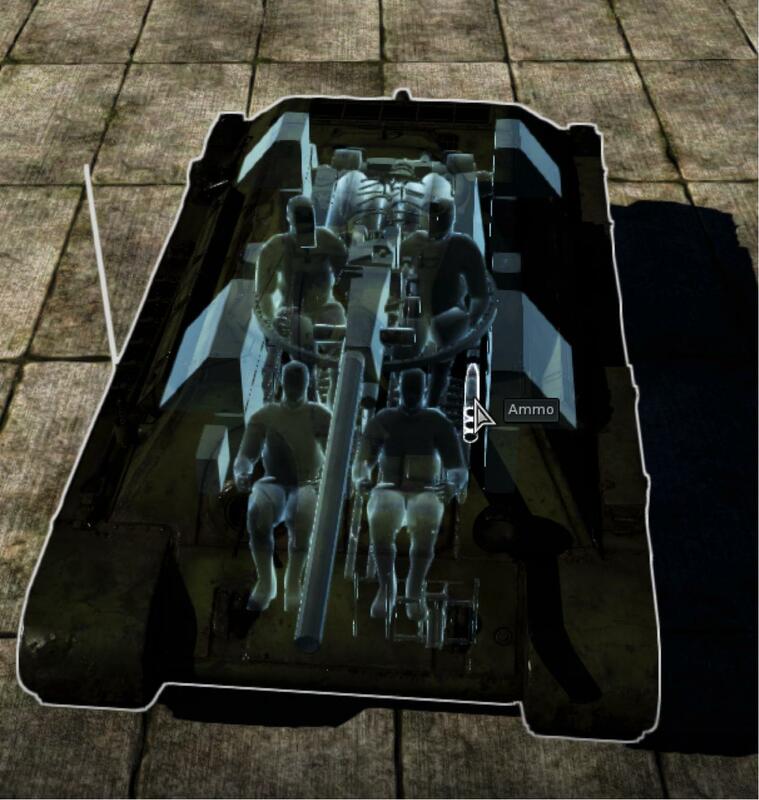 In order to maximize your effective armor angle the front of your tank slightly away from the enemy. 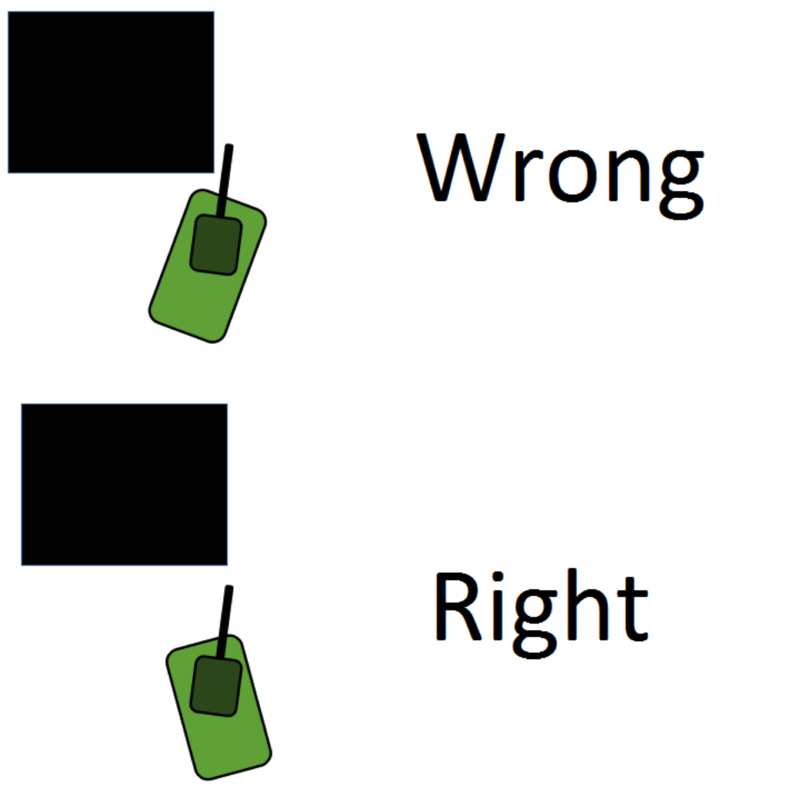 However when you angle your tank make sure to not go too far as this will expose the weaker side armor of the tank. With this in mind, if in doubt angle less, as exposing too much of the side armor is worse than not angling at all. 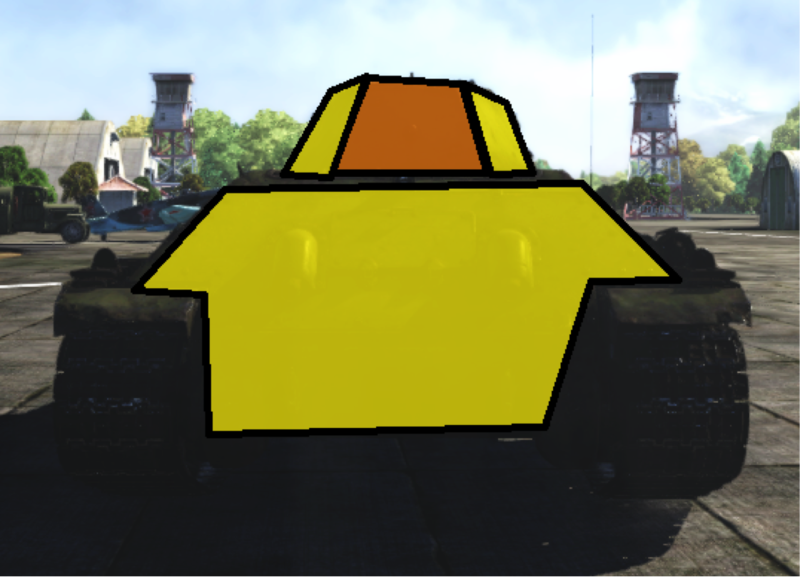 Since this tank has excellent front armor it is suggested you use side scraping to maximize this armor, especially when in urban environments. When done correctly the tank will maximize its armor protection. This is done by driving towards a building until you can no longer see where you want to shot then reversing until you can. This is how to use a tank in urban environments as it maximizes armor and allows for quick escapes by driving forward instead of reversing. As stated earlier, the T-34E STZ is very versatile, but struggles against specialized tanks. The greatest way to apply this jack of all trades is to know your enemy, and engage their weakness. This tank cannot outshoot a Marder III or outmaneuver a Chaffee. It can however outmaneuver a Marder III and outshoot a Chaffee. Know the strengths of your enemy and engage accordingly. Like all T-34 it is suggested you do not aim for the sloped armor unless necessary. This is because sloped sides of a T-34 have a tendency to bounce shells. The area just above the turret ring, this area is weakly armored and unsloped. One shot into this will usually disable the turret ring. On top of this it has a great chance of knocking out one if not both turret crew members. The area around the barrel is also thin and unsloped making it is a great area to aim. When you get a shell through this area you have a good chance of damaging the gun breech. On top of this it has a great chance of knocking out one turret crew member. Another place to aim is the machine gun port Whole not thinly armored it is unsloped. Shots that penetrate this area will likely kill the machine gunner and if you are lucky you can kill the loader. The final place to aim is at where the upper and lower hulls meet, this is an area with both thin armor and little slopping. Shots that penetrate have a chance of killing the driver and/or the machine gunner. However an enemy that can shoot back is always dangerous so this should not be the first place to aim. 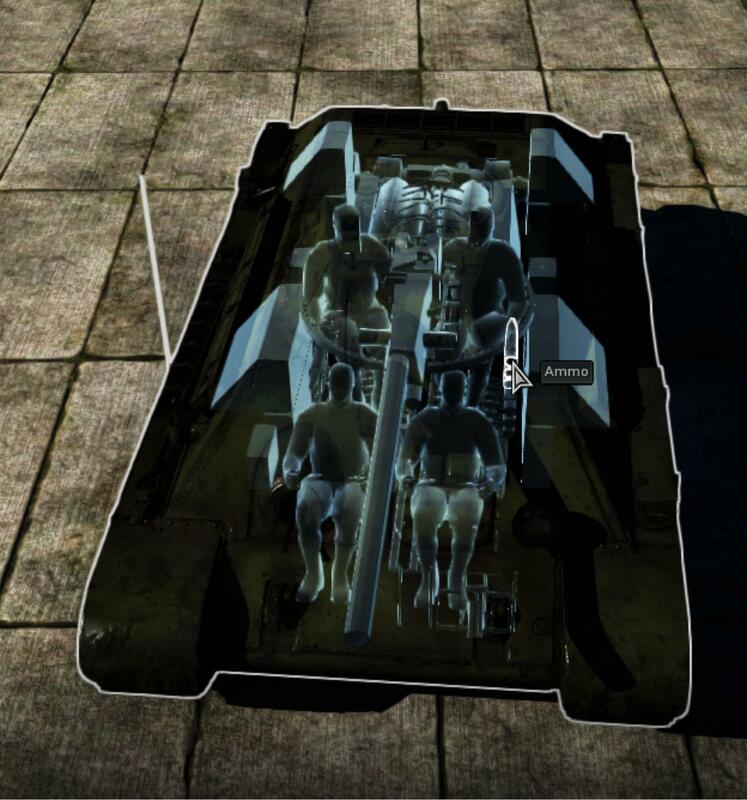 The side of this tank is the same as any other T-34, having the same weak spots. As such the places to aim should be familiar. The first priority is to aim for the area between the wheels and under the mud guard. This where all the ammunition and fuel is stored making it a great target. 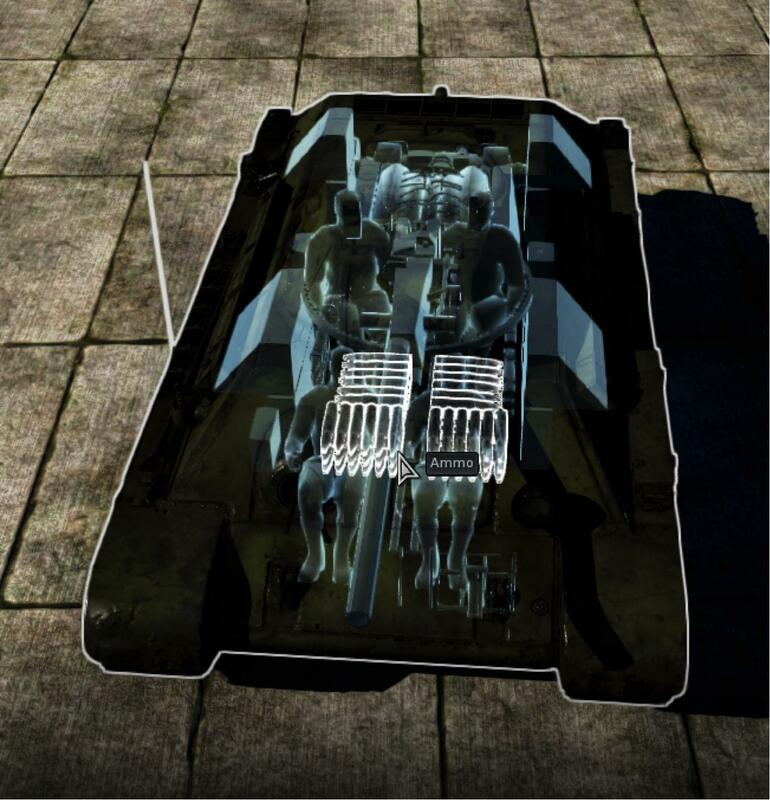 This area also has the weakest protection so even low penetration shells can knock out the tank. 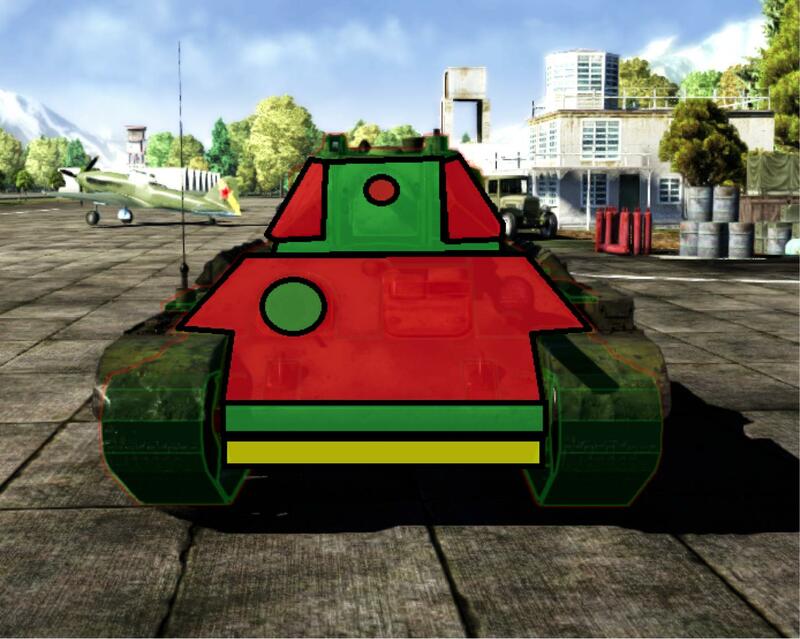 The next area to aim is for the front half of the tank. Try to not aim for the rear, as hits in this area are unlikely to knock out a tank but just disable its mobility. The front section has the parts you want to knock out so aim here. If your gun has low penetration just aim for the exposed area above the turret ring, and avoid the sloped armor. The back of a tank, while a tempting target, is not always not a good choice. This is because the large engine will usually absorb all of the shells. This will disable the tank, but they can shoot back. The only place you should aim is the back of the turret since this will knock out the turret crew and gun. *It is recommended you NEVER load more than 69 rounds. Like all tank the first thing you will want to research is Parts and FPE. After/Between, research new shell types and artillery (optional). When done researching these focus on mobility as this is the greatest strength. A very deep and useful tactics and counter tactics part. - I noticed that the rear picture of the turret is wrong. Shouldn't it be green instead of orange? It is also badly drawn. - Also arent the meeting point of upper and lower plate like 100mm of armour? - Pros n Cons section missing. - What are the common enemies and how do I dispose of them effectively? The Russian 76mm is one the worst 75/76 cannon ingame, so help with it is desired, especially as the MM will put the STZ higher up. It was primarily the output of STZ that prevented the production of the T-34 from totally drying up in the trying winter months of 1941-42. The assembly halls in Stalingrad depend­ed heavily on several dozen small contractors for various sub-assemblies, but many of these factories were in the process of moving eastwards or had already been overrun. For­tunately, several large Stalingrad firms remained and continued to supply STZ. The Red October plant provided armor plate, the Stalingrad Shipyard fabricated the turret and hull and the Barrikady factory initiated production of the F-34 gun. Shortages soon became felt, though. By October, rubber was in short supply and new wheels had to be designed for the T-34 without a rubber rim. Other assemblies, such as the gun, engine and internal layout had to be simplified to cut down on time and material. By the fall of 1942, STZ had produc­ed about 3600 T-34s which amounted to about 40% of the total output of the T-34 to that time. Soon, as the Wehrmacht continued its assault on the city, the assembly halls of STZ would become a battleground. But, by then, the other factories had had time to plant their roots in the Urals and a flood of T-34s would soon be coming to the front. While a new Model 1942 was being developed in the Urals, STZ staff proceeded along in its own course. The weakest point on the welded turret had been found to be the lower chin of the turret front. To reinforce this and at the same time to simplify production, the lower corner was simply cut off and a single flat plate of thicker armor welded in its place. The modified F-34 gun mantlet provided by Barrikady came to a sharp point in contrast to the blunt nose type produced at Zavod Nr. 92 in Gorki. STZ benefitted from the moder­nization program initiated by Morozov's GKB-T-34 but their production model was something of a hybrid, hence it has been referred to here as the T-34 Model 1941/42. This variant used many of the new features developed for the simplified Model 1942, e.g. the new river's hatch and the improved tow hooks. The noticeable exception was in the rear area, where the old rounded-off hull was retained as was the rectangular access port. A modification of the STZ type appeared on the Volkhov Front and in Leningrad. These T-34s were fitted with added armor plate ("(z Ekranami)") on the hull front and sometimes on the turret sides and front as well. These were STZ-produced machines, but the modification work was done in Leningrad at Repair Zavod Nr. 27. The tank is as was out from factory in Stalingrad... The late production and improvemants makes in game to be useless many time for the user just because he will face more powerful tanks and that makes the gun 76mm to be weak. Please no copypaste from other pages. I want people to read and understand. In this case I want you to read my comment and learn to REFERENCE and QUOTING SOURCES . The "Historical" section in my article is all my own work, without directly quoting or basing it heavily on only one source, but I did read a number of sources before writing it. Should I create a bibliography? It's all my own work without any quotes, so I thought it would be fine without putting in a bibliography. Also, if a bibliography is needed, what style (APA, Chicago, etc.)? It would be great if you could let me know, thanks! However, you many only do a one time edit! The entry period ended yesterday and further edits woul create an unfair condition while reviewing all 124 entries. Added my web sources under "additional information" and wrote a reply to say I did so and that you said it was okay to do.